Cats are not complainers! By their very nature they hide symptoms of illness much more so than dogs and people. Clues and signs that they may not be well are usually vague and can be missed by owners sometimes until the cat is in crisis. So what symptoms are important to watch for? Consider the following and ask yourself if there have been any changes. 1. 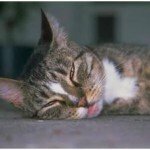 Less appetite: Often owners don’t see their cats eating as they tend to graze or there may be other cats in the home sharing the same food bowl. 3. Hiding: Lots of cats are shy and don’t necessarily hang out with the family especially if the household is a busy one. But are they hiding more than usual? 4. Vomiting: Here’s a good one! 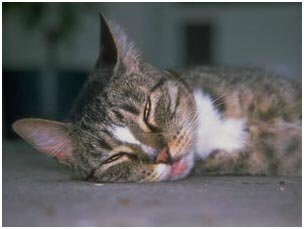 Many cats vomit hairballs occasionally so owners can be desensitized to it when it becomes a significant problem. 6. Urinating or having bowel movements outside the litter box. Many owners think of these sings as a behavioural issue rather than a possible indicator of infection or pain. 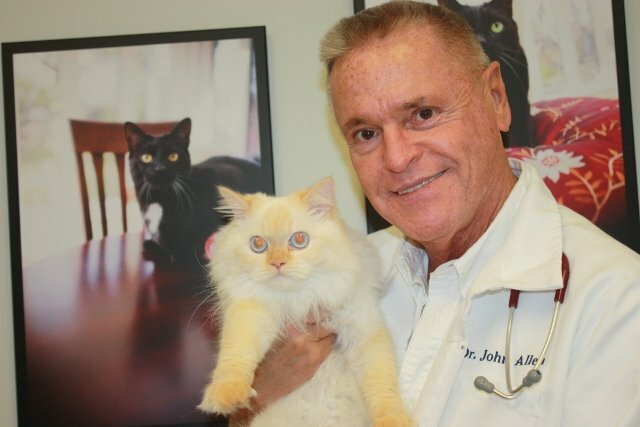 Check out my previous blogs for tips for bringing your kitty to Royal York Animal Hospital. All my blogs are posted on our website www.ryah.ca Any of our staff would also be happy to relay these tips to you over the phone. 416-231-9293.